McDonald’s announced last fall mobile ordering would land in Canada this year, as part of a global rollout. In an interview with Reuters, the fast food chain detailed how their system would work, as part of today’s beta launch at select U.S. locations. The McDonald’s mobile app builds on the company’s recent deployment of digital ordering kiosks (which are slow af by the way). Customers will place their mobile order using the app and your device location will be key in ensuring your order is made in a timely fashion to remain fresh, so it won’t sit long under a heat lamp. Jim Sappington, McDonald’s executive vice president of operations, digital and technology, told Reuters, “Our focus is to make the overall experience clearly better,” noting how it is crucial for mobile orders to be made at the right time, or users will question why they used the app in the first place. How will McDonald’s mobile ordering work? 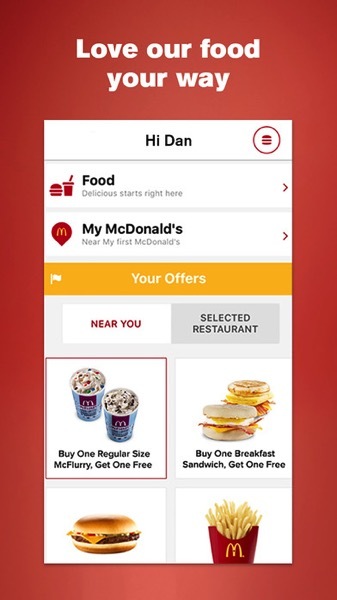 Users place their orders using the McDonald’s mobile app. As customers arrive at their McDonald’s location, the app will ask for confirmation and payment before it sends in your order. There will also be designated mobile order parking spots located outside McDonald’s restaurants. 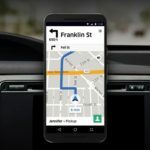 The final version of the app will ask users if they want table service, counter or drive-thru pick up. The mobile ordering pilot kicked off today at 29 locations in Monterey and Salinas, California, while 51 restaurants in Spokane, Washington will be added on March 20. By the end of this year, all 14,000 American locations, plus nearly 6,000 locations in Canada, the UK, France, Australia, Germany and China, will get mobile ordering. McDonald’s says the launch of mobile ordering will also allow transactions times to be cut down, reduce errors, while also allow more free time for workers to do other tasks such as deliver food to tables. The fast food chain hopes to avoid mobile order growth problems like Starbucks, which revealed this year mobile orders started to cause their own backlogged line ups in stores. But for the most part, our tests have revealed the Starbucks system to be pretty good with time estimates. Who’s looking forward to McDonald’s mobile ordering? Update October 25, 2017: Mobile orders have launched in Canada only in 3 cities.